Each month we ask a soil researcher to select his or her favorite soil. Dr. Stefaan Dondeyne just loves the organic matter of phaeozems and umbrisols. SSSB: If you have to choose a favourite soil, what would it be? Stefaan: That’s a hard choice. On a worldwide scale, I would have Andosols as number one. Just because a great part of my childhood was on Andosols and I am fascinated by volcanoes. But, here I want to focus on Belgium, and I will say Phaeozems and Umbrisols. SSSB: What are the main properties of these soil types? Stefaan: First, in this context we should not use the word “soil types” but really refer to (reference) soil groups. Both groups have in common their thick, dark surface horizons with high content of organic matter. Having a Mollic horizon, the Phaeozems will have relative high base cations saturation (BS ≥ 50%); the Umbrisols are their acidic brothers, so with a BS < 50%. SSSB: Why do you find this soil type particularly interesting? Stefaan: As a student, when we learned about Phaeozems, we were taught that these are the typical soils of the slightly more humid areas of the steppes, be it in Ukraine or the central parts of the USA. Of course Phaeozems are surely the dominant soil group in these areas, but as the key property is to have a thick dark surface horizon, we find such soils in very varied environments including tropical environments. So they can be found wherever climate or drainage favours the accumulation of organic matter (Fig. 2). The same goes for the Umbrisols, but note that in the FAO legend these were not yet considered as a separate reference soil group but mostly out as Humic Cambisols. In Belgium both Phaeozems and Umbrisols occur mostly in valleys, where they are found in association with Histosols and Gleysols. In the legend of the soil map of Belgium, however, no particular symbol was foreseen for these soil groups. Hence when correlating the Belgian legend to the World Reference Base for soil resources (WRB) for the Flemish region, we inferred their occurrence based on reports on colour in the booklets and statistics on OC content. The wetland areas where these soils occur are considered of importance for nature conservation. In the Walloon region both Phaeozems (Fig. 1) and Umbrisols (Fig. 3c) also occur. Once the conversion of the Belgian soil legend to WRB will also be completed for Wallonia we will get a better overview on their spread and occurrence in Belgium. SSSB: Do the properties of these soil groups have consequences for its management, e.g. in terms of land use, soil quality, …? Stefaan: Given their high organic matter content, and in the case of the Phaeozems their favourable pH, these soils are highly valued for their fertility and if not too wet, for their good physical properties. Phaeozems in the Flemish region will be about the most productive soils for poplar for example. These soils are also important for their soil organic carbon stocks and their role in carbon sequestration. Therefore, next to the usual suspects as the Histosols and Gleysols, these soil groups deserve special attention when estimating soil organic carbon stocks. 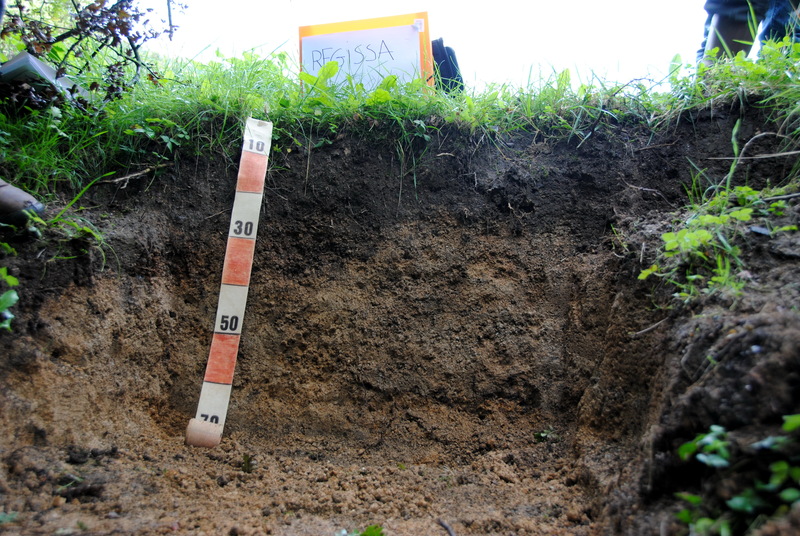 As the spread and occurrence of these soils has been underreported in Belgium this calls for particular attention, and highlight the importance of having the soil map of Belgium correlated to WRB. Currently a research fellow at the University of Leuven in Belgium, Stefaan has been involved in converting the legend of the soil map of Belgium to WRB. Over the last 20 years he has mainly worked on natural resources management projects in tropical Africa.